What's better than a hot cross bun? A hot cross bun loaf of course! Serve this soft, spicy bread toasted, with lots and lots of butter. Place the flour into a large bowl and rub in the butter with your fingertips, until the mixture resembles fine bread crumbs. Rub the yeast into the flour and butter mixture. Add the dried fruits to the flour along with the lemon zest, mixed spice, salt and milk and combine until the mixture forms a dough (adding more milk if it feels a little dry). Tip the dough out onto a lightly floured surface and knead for around 5 minutes, until it feels soft but not sticky. Return the dough to the bowl, cover with a tea towel, and leave to rise for around an hour and a half, or until it has doubled in size. Grease a 2lb loaf with a little softened butter. 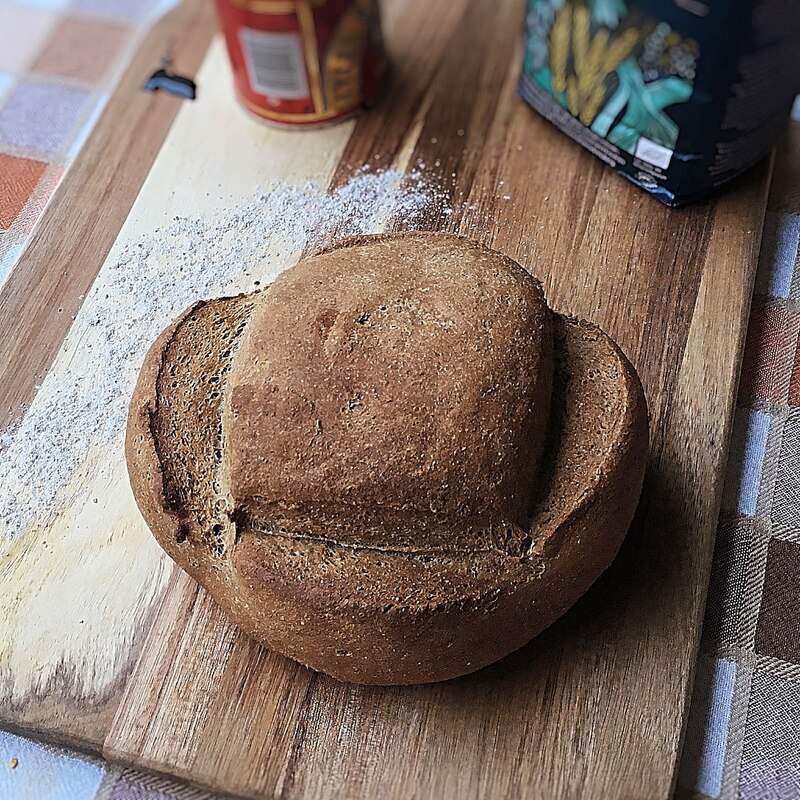 When the dough has risen, place it onto a lightly floured surface and shape it into an oblong, just a little smaller than your loaf tin. 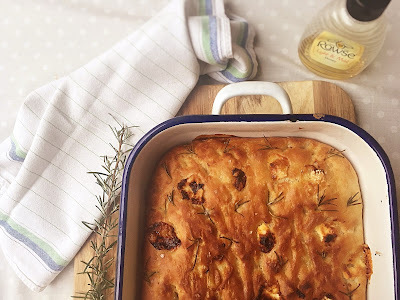 Place the oblong into the prepared tin, cover it with a tea towel and leave to rise again for around an hour, or until it has puffed up and is now peaking out over the rim of the tin. Make the paste for the cross by mixing together the plain flour and water. You want it to have a soft consistency (as you need to pipe it), but not be too runny, as it won’t hold its shape. Place the paste into a disposable piping bag and cut a small hole in the end. When the loaf has risen, pipe a cross shape over the surface using the paste. Bake the loaf for around 40 minutes, or until the crust has turned a very deep golden brown. Make the glaze by mixing together the marmalade and boiling water, until all the marmalade has dissolved. When the loaf has come out of the oven, brush over the glaze and then leave to cool completely in the tin, before slicing and serving. This loaf will keep for a few days, wrapped up well and stored in a cool, dark place (not the fridge). Add the salt, oil, dried basil, chilli, lemon zest and milk and combine until the mixture forms a dough (you may need to add more milk if it feels a little dry). Tip the dough out onto a lightly oiled surface and knead for around 5 minutes, or until it feels soft but not sticky. Return the dough to the bowl, cover with a tea towel, and leave to rise for about an hour, or until it has doubled in size. When the loaf has risen, shape it into a ball and place it onto a lined baking tray. Cover the baking tray with a tea towel and leave to rise again, for about an hour, or until it has doubled in size. 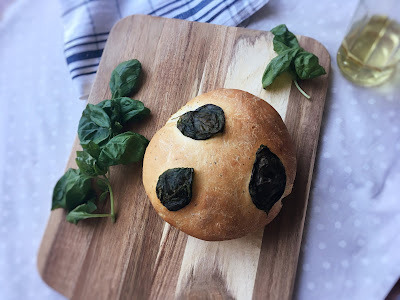 When the loaf has risen, take a few fresh basil leaves and press them into the dough, for a little decoration. Brush some oil over the basil, to help it stick, and then bake the loaf for around 25 minutes, or until the crust has turned a nice golden brown and the bottom makes a hollow sound when tapped. Leave the loaf to cool completely on a wire rack, before tucking in. Little tip: Different flours will absorb different amounts of liquid, so I would add ¾ of the suggested liquid to the mixture at first and then if the dough feels a little dry, you can always add some more. 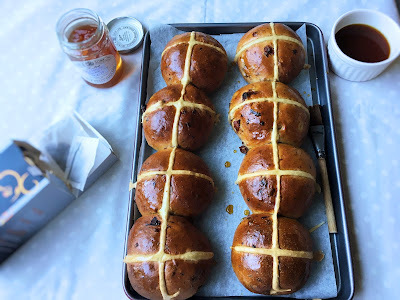 These citrusy treats are an improved version of my hot cross buns with a sticky marmalade glaze from last year. The glaze in this recipe has quite a sharp flavour, so if you like your buns a touch sweeter, only put a little on. Makes 8 large hot cross buns. Left over orange juice from soaking the fruit. Place the fruit into a large bowl and pour enough orange juice over to just cover the fruit. Cover the bowl with a tea towel and then leave the fruits to soak for at least 4 hours, or ideally overnight. When the fruit has been soaking for enough time, place the flour into a large bowl and rub in the butter with your fingertips, until the mixture resembles fine bread crumbs. Drain the fruit, but make sure you keep any left over orange juice, for the glaze. Add the fruit to the flour along with the lemon zest, orange zest, mixed spice, salt and milk and combine until the mixture forms a dough (adding more milk if it feels a little dry). When the dough has risen, place it onto a lightly floured surface and roll it into a large sausage shape. Cut the doughy sausage into 8 equal pieces. Roll each of the pieces into a ball and then place onto a baking tray lined with grease-proof paper (making sure to leave a good gap between each one). Cover the baking tray with a tea towel and leave the buns to rise for about an hour, or until they have noticeably puffed up. 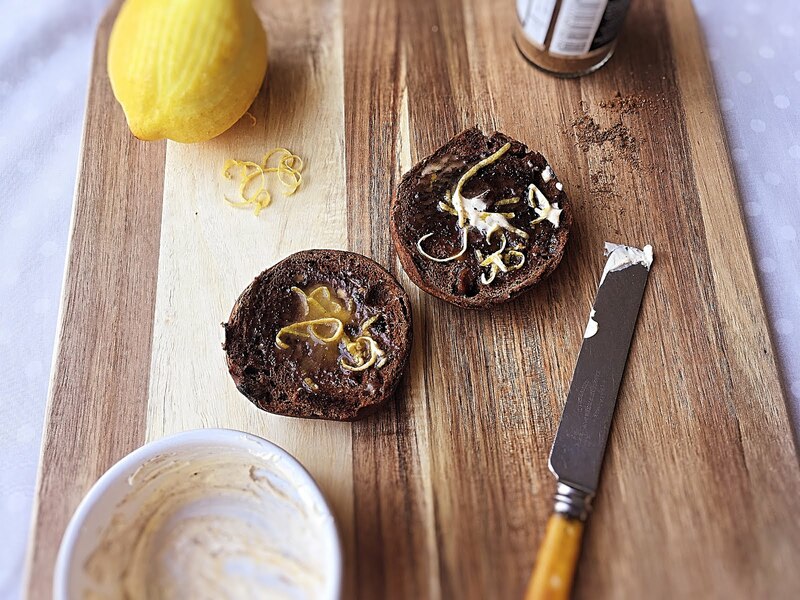 Start making the glaze by placing the left over orange juice and marmalade into a pan over a high heat. Stir the mixture regularly, until it the marmalade has dissolved and it starts to bubble. When the orange mixture starts to bubble, turn it down to a very low heat and leave it to reduce down until you are ready to use it. When the buns have risen, pipe a cross onto each one using the paste. 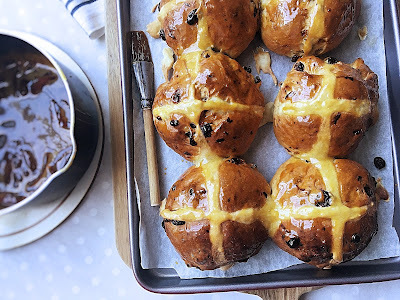 Bake the hot cross buns for around 20 minutes, or until their crusts have turned a very dark golden brown. When the buns have come out of the oven, brush over the orange glaze and then leave to cool completely on a wire rack before serving. 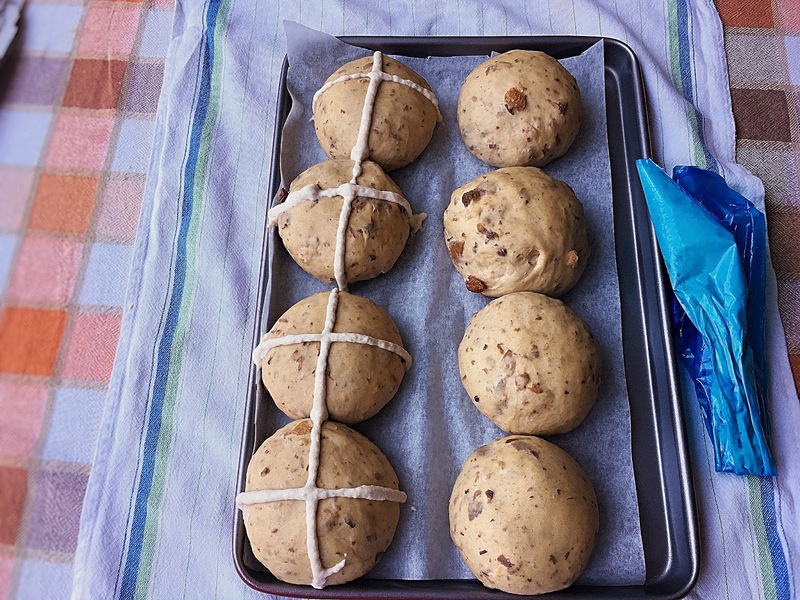 These hot cross buns will last for a couple of days, wrapped up well and stored in a cool dark place (not the fridge). The pungent rosemary and creamy milk in this recipe combine together to make a lovely soft, perfumed loaf. Enjoy toasted with jam, or use as the base for a cheese and chutney sandwich. Add the salt, oil, chopped rosemary and milk and combine until the mixture forms a dough (you may need to add more milk if it feels a little dry). Tip the dough out onto a lightly floured surface and knead for around 5 minutes, or until it feels soft but not sticky. 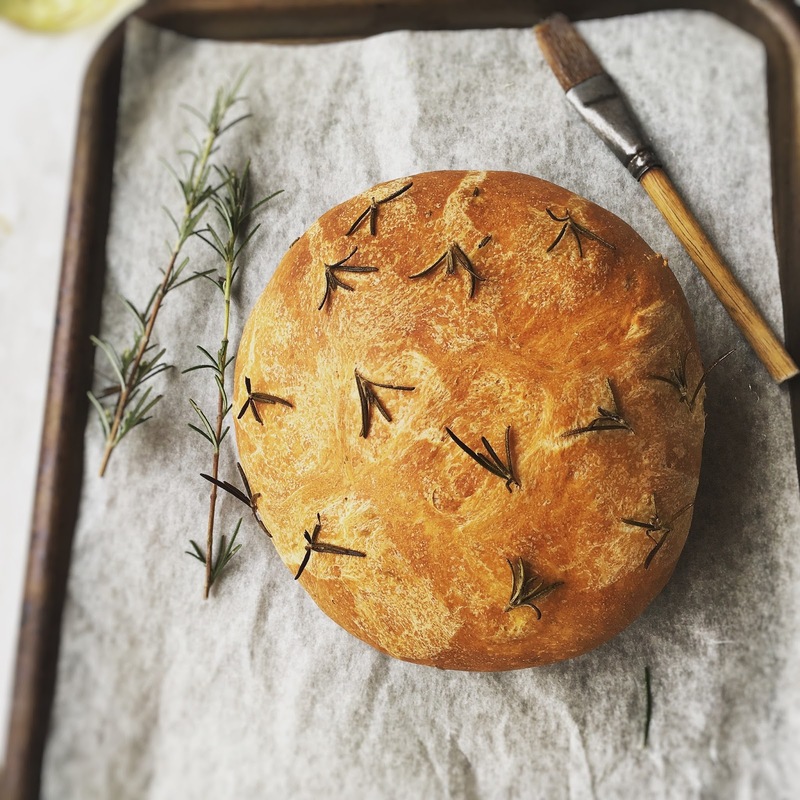 When the loaf has risen, take a few sprigs of rosemary and press them into the dough, for a little decoration. Brush some oil over the rosemary, to help it stick, and then bake the loaf for around 25 minutes, or until the crust has turned a nice golden brown and the bottom makes a hollow sound when tapped. I love the zesty freshness of Lady Grey tea and I think it's a flavour combination that works especially well in hot cross buns. 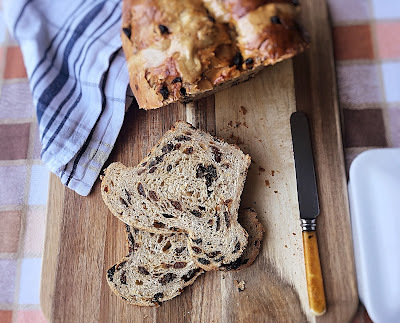 I was going to infuse my milk with the tea, which is the usual way of getting lots of flavour into bakes like this, but my Mum suggested soaking the fruits, as you would for a Christmas cake, and after trying it I think it worked really well. The fruits not only carry the flavour, but really plump up, injecting a lovely moisture and softness into the buns. Because the fruit is quite wet, I would suggest adding half of the milk first, then give everything a mix, and if it feels a little dry still you can always add some more. Left over tea from soaking the fruit. Place the tea bags into a large heat proof bowl. Place the dried fruit on top on the tea bags and the pour over enough boiling water to cover everything. Drain the fruit, discarding the tea bags but keeping any tea that's left behind. Add the fruit to the flour along with the lemon zest, mixed spice, salt and milk and combine until the mixture forms a dough (adding more milk if it feels a little dry). Start making the glaze by placing the left over tea and marmalade into a pan over a high heat. When the tea starts to bubble, turn it down to a very low heat and leave it to reduce down until you are ready to use it. 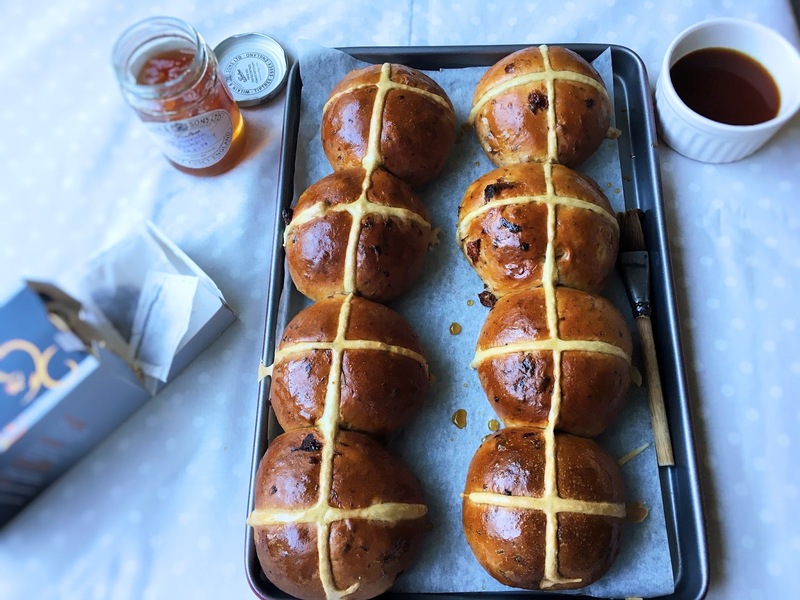 When the buns have come out of the oven, brush over the tea glaze and then leave to cool completely on a wire rack before serving. Soreen have launched a new range of 'Toast Me's', a version of their famous malt loaf that's made for toasting. I love the squidgy-fudgyness of malt loaf, and I LOVE toast, so these are an absolute dream for me. I usually enjoy my malt loaf with a generous spreading of peanut butter (what else? ), but here I have come up with three tasty and slightly more adventurous toppings. For more information about the 'Toast Me's' head to www.soreen.com. Place the softened butter into a small bowl. Add the mixed spice and lemon zest and stir until everything is well combined. Take one 'Toast Me', slice in half, and toast under the grill, or in the toaster. Spread the butter onto each half and tuck in! Mix together the honey and the yoghurt. 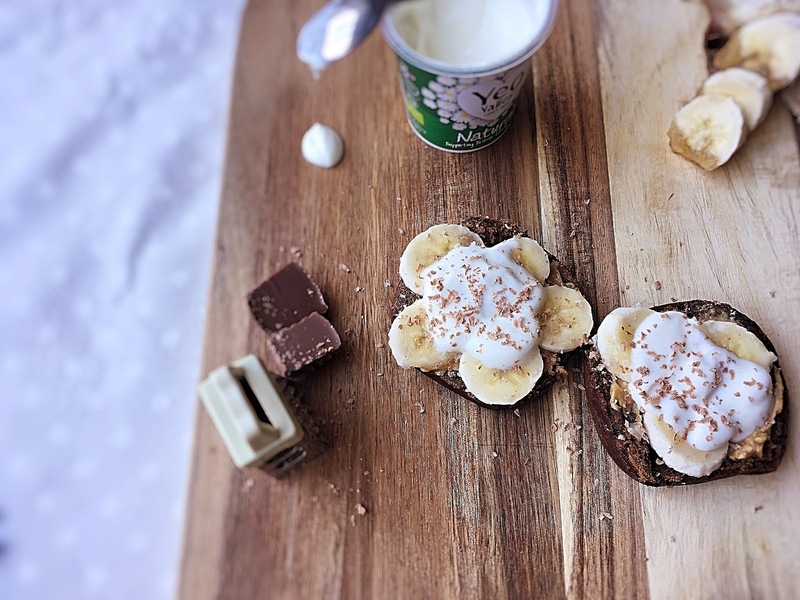 Spread a teaspoon of peanut butter onto each half on the 'Toast Me's'. 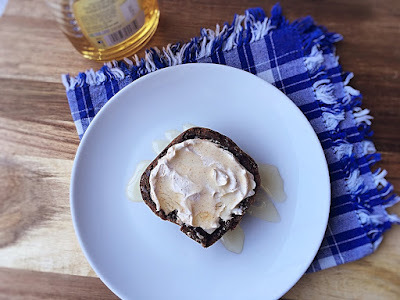 Spoon over the yoghurt and honey. Grate over the chocolate (if using) and enjoy! Mix together the cream cheese and chilli powder, making sure that the chilli is evenly distributed. Spoon the cream cheese over the 'Toast Me' halves. Place the flours into a large bowl and mix until they are well combined. Rub the yeast into the flours with your fingertips. Add the salt, treacle, oil and water and combine until the mixture forms a dough (adding more water if it feels a little dry). 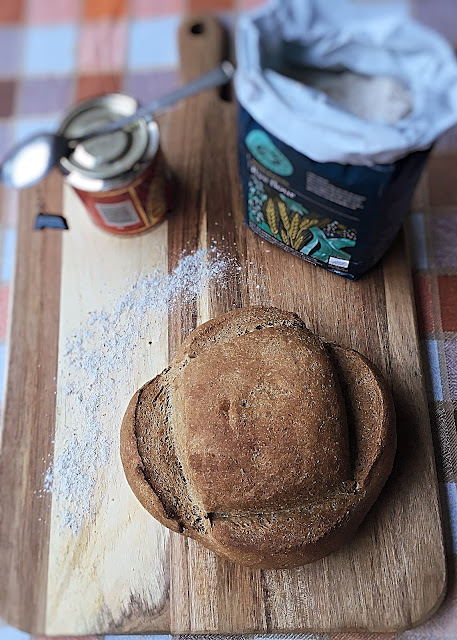 Tip the dough onto a lightly floured surface and knead it for a couple of minutes, until it feels slightly smoother and softer. Return the dough to the bowl, cover with a tea towel, and leave to rise for about an hour and half, or until it has doubled in size. When the dough has risen, shape it into a large ball and place it onto a lined baking tray. Cover the ball with a tea towel and leave to rise again, for about an hour, or until it has doubled in size. When the loaf has risen, make a couple of slashes in the crust with a sharp knife (you can do whatever pattern you like). Bake the bread for around 40 minutes, or until the crust has turned a really dark brown and the base makes a hollow sound when tapped. Leave the loaf to cool completely on a wire rack before tucking in. This loaf will keep for up to a week, wrapped up well and stored in a cool dark place (not the fridge).